When there’s an unforeseen disaster at the office, whether it’s a simple power outage or a larger catastrophe like flood damage, how do you know when to sit back and wait and when to take more proactive measures to keep the office up and running? Depending on their plan, many of our clients utilize our Backup Disaster Recovery Device (BRD) to help them avoid catastrophes and downtime caused by unforeseen problems such as the ones listed above. In times like these, the BRD allows their office to be loaded into the Cloud, so that the office can be accessed remotely, allowing work to continue. However, when something unexpected happens, how do you know when it’s appropriate to request the office be loaded into the Cloud? 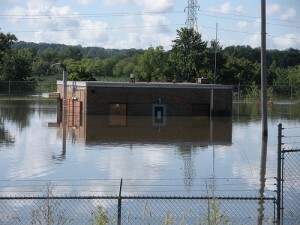 When assessing an emergency situation, the first thing to determine is if there is any damage to either the building or equipment that would prevent the office from being inhabited. Damage from flood, fire, or storms, or even a simple power outage, can all render the office unusable. Other outages, such as an internet outage, may not cause a problem. Whether or not the office needs to be booted into the Cloud so that employees can still work largely depends on the habitability of the office. If the office is in good shape, there is probably no need to switch over. However, if there is damage, or if employees cannot work on site for any reason, it may be a good time to consider switching over to the Cloud. Once you are switched over to the Cloud, your current data lives off-site. When you are ready to migrate the office back, the most current data must also be moved back. While none of this is a big deal, particularly if you are dealing with a much larger emergency, it’s something important to keep in mind for minor emergencies. When dealing with something small, such as a utility outage, it’s important to contact the vendor involved and determine the size of the outage as well as the ETA for repair. If the issue is going to be fixed in less than a day, there is probably no need to load the office into the Cloud. However, for larger outages and longer time frames, booting into the Cloud is a perfect use of the BDR, as long as employees won’t be impacted by the outage at home so that they can work remotely. While knowing the ETA of an outage is helpful, one of the most important factors in determining whether to boot into the Cloud, aside from the extent of the damage, is the urgency at which you need to access your data and information. Sometimes when outages happen, especially minor ones, employees can find other things to do in the office until the item is restored. However, if there is an important deadline or timeline you are working against, or something else more urgent that requires use of your data during the outage, it might be in your best interest to request being loaded into the cloud. Please note this option should be exercised with caution, particularly for shorter outages, because of the process required to migrate back. Regardless of why the office is down, outages, both minor and major, do happen from time to time. By implementing a BDR at your office, you can help mitigate the cost of these emergencies, and maintain office flexibility to keep working, despite the challenges that an emergency brings. Julie Strier is a freelance writer who likes to help you understand your technology options. Email:julie@mybusinesswriter.com. Website: www.mybusinesswriter.com. It has been a favorite buzzword of 2012 and all the rage lately, but do you really know what the Cloud is and how it works? While it may seem like this mystical, far off place, the Cloud is basically the Internet. But it’s also more than the Internet – it’s Internet 2.0. Traditionally, the Internet was a place to go to get information. Need to learn about something new? No problem, just get on the Internet and research it. After all, why do you think Google became so popular in the first place? However, as time went on the Internet changed and evolved. No longer just a place to go for information, the Internet became social, and we started sharing information with one another on websites like Myspace and Facebook, instead of on our own personal webpages. While all this was happening, other things were changing with the Internet too. Websites like Dropbox, Skydrive, and other websites emerged, giving us places to store our files, and later access them from anywhere, as long as we had an Internet connection. Along the way, something new emerged – the Cloud, something that is still growing, and taking shape even today. Currently, the Cloud is a hybrid of traditional computing and online storage. While you still load software and files on your computer, the Cloud gives you the ability to store your files online, so that you can access them from wherever you are as long as you have Internet access. Today, many companies store their files in the Cloud, both as a way to access files from anywhere, and as a way to ensure files are protected off site and redundantly backed up. In the future, we may never need to store anything on our computers ever again, including software. Think about tablet computers and smart phones, when you need something, you just go to the app store and download it. Computers will soon be like that. Instead of downloading software, we’ll just go online and access it. In fact, in many ways, the benefits of the Cloud can be seen from current smart phones. What happens when you get a new smart phone? You enter your account information, and magically all of your contacts and other information are transferred to your new phone. Within minutes, you can begin using your new device, without spending time moving items, transferring data, and setting up your phone. For computers, the Cloud may soon make this a reality. Instead of loading software on your computer, all you need is a basic operating system, and an Internet connection. Just boot up, hop online, and access your software, files, or more. While the Cloud leaves us more dependent on the Internet and external servers, it allows us to be more independent with our hardware. We don’t have to be tethered to a particular machine, just one with Internet access. We don’t have to worry about equipment breaking, and not backing up items, because it’s already safe, in the Cloud. While we all access and use the Cloud now, it’s important to remember that it’s still in its infancy, and may change as it grows and develops. However, as it’s shaping up now, the Cloud is poised to set us free from our computers, and allow for greater mobility with our technology. Julie Strier is a freelance writer who likes to help you better understand your technology. Email:julie@mybusinesswriter.com. Website: www.mybusinesswriter.com. Technology is a pretty amazing thing. It enables us to communicate with people around the world in an instant, without ever leaving home; it allows us to complete work faster than ever before; and it has drastically changed the way we live. In fact, technology is so submersed in our culture that sometimes we even forget it’s there. From cars, to TVs, to kitchen appliances, and more, technology literally pervades practically everything we touch now days, whether you realize it or not. That’s why we wanted to take a moment, to pause and reflect on the ways technology has already helped to shape our current reality, and to see how it’s changing our future. Smart Phones: We now have cell phones that are so powerful, that they encompass several devices at once. It’s your phone, a computer, a GPS nav system, a clock, and more all rolled into one. Every day smart phones allow us to do more, while carrying less with us. Mobile Technology: Laptops, tablets and other portable devices (yes, even our smart phones) help us connect and work remotely, from anywhere in the world. While this is a double-edged sword as it can cause people to work more, mobile technology can enable you to work from anywhere, regardless of your geographical location. Computers: Without computers, there are many things that we would either still have to do manually, or that just wouldn’t get done at all. Computers enable us to work faster, smarter, create amazing items, and come up with live saving solutions. And while we can do awesome and amazing things now with the aid of technology, we haven’t seen anything yet. Check out these amazing things technology is already doing, and what it could mean for our future. Self-Driving Cars: Accidents may soon be a thing of the past, as Google and other teams are working to solve an answer to a modern day dilemma – distracted drivers – with a novel solution – a car that will drive itself. Think about how nice your commute to work would be, if you didn’t have to worry about driving, and could do whatever you needed to on the way. Think about how easily traffic would flow, if it were more regulated and automated, instead of manually maneuvered as it is now. 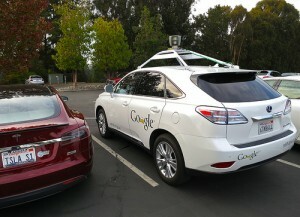 Click here to read more about self-driving cars. Printable Parts: Technology is so advanced, that scientists have come up with a way to modify printers and other devices to use human cells to “print” organs and other parts. These 3D printers can make working parts and pieces, made from our own cells which can actually reduce the rate of rejection and more. Click here to read more about the business of printing organs on 3D printers. These are only a few of the ways that technology has shaped today and is forming our future. What are some of your favorite technologies, new or old? How has it shaped your life? Leave us a comment and let us know.